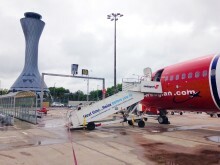 Low-cost airline Norwegian has announced it will be creating more than 130 crew and pilot jobs in Scotland as it prepares for continued growth at Edinburgh Airport in 2017. 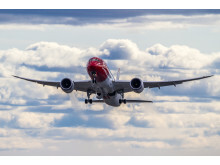 Norwegian, the world’s sixth largest low-cost airline, continues to expand its route network – this time with full force in Germany with five new route launches from Düsseldorf Airport and three new route launches from Hannover Airport. 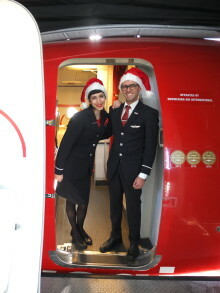 Low-cost airline Norwegian is continuing its UK expansion with a new direct service from London Gatwick to Lapland – just in time for Christmas! Low-cost airline Norwegian is launching its busiest ever winter with brand new low-cost flights from Manchester to Gran Canaria and Tenerife this week. 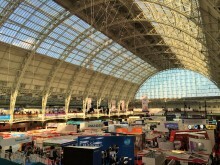 Low-cost airline Norwegian has partnered with GetYourGuide, the largest travel activity booking website. 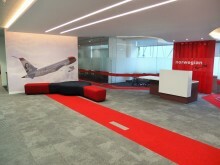 Low-cost airline Norwegian has taken another significant step in its huge UK expansion by opening its new UK headquarters by London Gatwick Airport which is at the heart of the airline’s UK operation. Low-cost airline Norwegian continues its UK expansion this week with the launch of its newest route from Edinburgh to the cosmopolitan city of Barcelona with fares from £34.90. Low-cost airline Norwegian continues its growth at Manchester Airport with the addition of two new routes to Malaga and Alicante taking-off this week. Low-cost airline Norwegian continues its UK expansion by putting on sale a new route from Gatwick to Crete today with fares from £29.90 – the new service marks the fifth new summer route Norwegian is introducing this year. Low-cost airline Norwegian is marking its one year anniversary since taking off from Birmingham Airport for the first time by increasing flights to Malaga for the summer and putting on sale the first of its winter flights for 2016 from £29.90 today. Low-cost airline Norwegian is launching brand new flights from Manchester and Edinburgh to three popular Spanish destinations in time for the summer getaway with fares on sale today from £34.90. 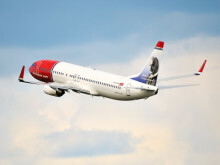 Norwegian, Europe’s third largest low cost carrier, is today celebrating five years since it became the first airline to offer free Wi-Fi on European routes - by revealing the world’s first study into sky-high surfing habits. Norwegian, Europe’s third largest low-cost carrier, has introduced more benefits for members of its loyalty programme, Norwegian Reward. 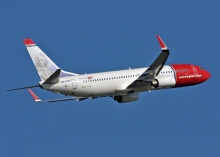 Low-cost airline Norwegian today became the first airline to offer live TV on board European flights. Passengers using Norwegian’s free inflight WiFi can now watch Bloomberg Television and Norway’s TV 2 News live on the airline’s fleet of 87 WiFi equipped aircraft. Low-cost airline Norwegian continues its rapid expansion at Birmingham this week with the launch of two new routes – making it the fastest growing carrier at the airport in 2015. Norwegian, the world’s fastest-growing airline, won two prestigious Passenger Choice Awards at the annual ​APEX Awards Ceremony last night during the ​APEX EXPO in Portland, Oregon. 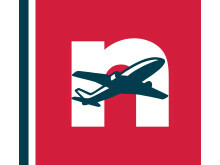 The airline won the categories Best in Region: Europe and Best In-flight Publication, for N by Norwegian Magazine. It was the second year in a row Norwegian was named Best in Region: Europe by passengers. Norwegian, Europe’s third largest low-cost carrier, today announces the appointment of Dominic Tucker as Head of Sales UK who joins Mitchell Hawes, Sales Manager UK&I to bolster the fast-growing airline’s sales capacity and cement its growth in the UK. Norwegian was yesterday (Saturday, 5th September) named Europe’s Leading Low-Cost Airline 2015 by the renowned World Travel Awards, one of the travel industry's most prestigious awards.